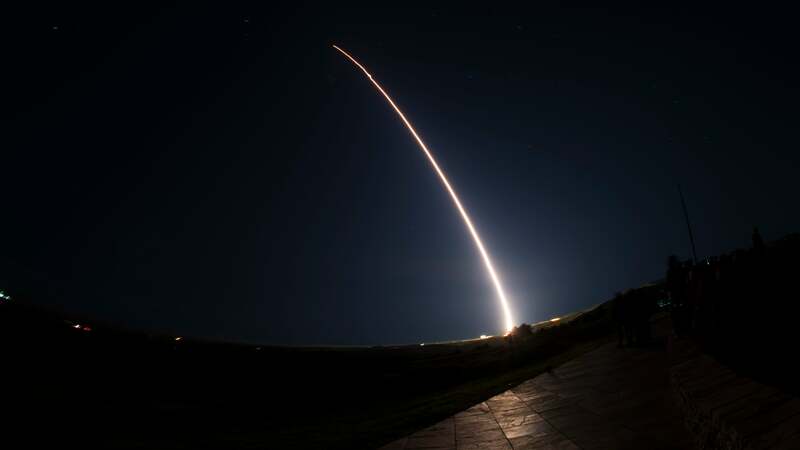 The US launched an unarmed Minuteman III intercontinental ballistic missile from Vandenberg Air Force Base on 5 February in what’s shaping up to be a busy week of missile tests around the world. Much like other recent launches, the US military insists that this latest test has nothing to do with current events, as military tensions rise in the US, Russia, and China. The US launch, which occurred late Tuesday night from an underground silo, sent a dummy missile roughly 4,200 miles west of the base in the state of California to a point near the Kwajalein Atoll in the Pacific Ocean. It’s still unclear if the test was a success, according to local news outlets in California. You can watch the US missile test from Tuesday on YouTube. There have been plenty of other tests recently around the world, on both sides of the New Cold War. France recently tested a missile launch from a warplane at an undisclosed time and Russia tested its RS-24 Yars ICBM on Wednesday. Iran even had its own rocket launch yesterday for its space programme, though it’s unclear if it was successful. US officials are concerned that Iran’s space ambitions are merely a cover story for an offensive missile capability. As we know from the first Cold War, the maths required to allow land a human on the moon is exactly the same maths it takes to get an ICBM to withstand re-entry into the atmosphere and hit a target on the other side of the world. That doesn’t mean that all space programs around the world are for military purposes. But the US and Soviet Union space programmes certainly were. And all of this is to say nothing of the tensions between the US and North Korea. President Trump plans to meet with the North Korean dictator Kim Jong Un at the end of the month in Vietnam. These latest missile tests may not be about recent events, but America's military can’t blame us for taking notice of the timing. The US announced last week that it was pulling out of the landmark INF Treaty signed between the US and Soviet Union in 1987. Russia promptly said that it was doing the same, paving the way for a new arms race. So, yeah, this might be business as usual, but any missile test from here on out is going to be interpreted as a potential escalation of military posturing, whether that’s the intention or not. Thank you, world leaders. Those of us who missed the scariest parts of the first Cold War felt like we were missing out. Now we can all duck and cover.